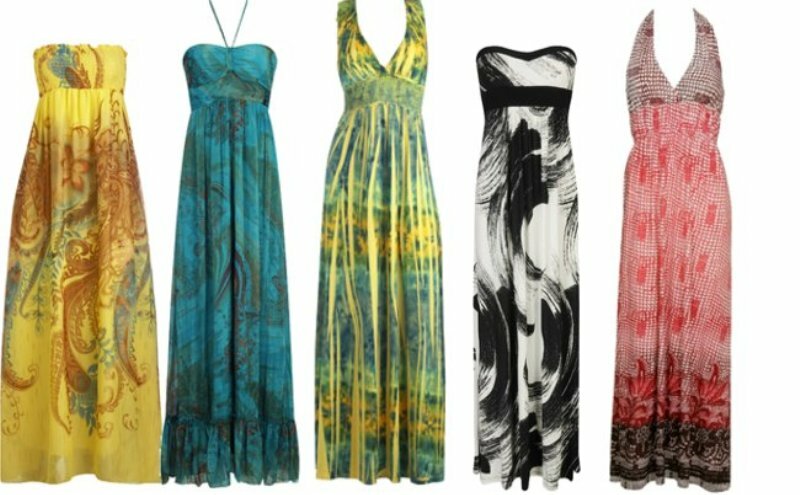 A lot of people are wary about wearing dresses in summer, because apart from maxis, you don’t really have too many options to wear do you, in the sweltering heat? Well, one look at these 12 stunning cut out outfits have proved to us that we can look rad in dresses that are NOT flowy and short, but still allow you to cool off in summer, because of the strategically placed cut-outs, which are also super stylish of course. Honestly speaking, a dress like this can be worn to a frickin’ red carpet and it would become an immediate hit amongst respectable fashionistas because it looks that gorgeous. Everything starting from the pale pink colour, to the silvery metallic straps and the peekaboo waistline cut-outs make this dress to-die-for. The best thing about cut-out dresses is that they look absolutely fabulous on body con structures, which is exactly what makes this pastel blue strappy dress, an absolute stunner. Cut out dresses need not necessarily be too exposé for your tastes which is why you can choose to go with netted cut-outs, such as on this lush burgundy dress. You can totally work those Greek influences with an amazing summer dress like this one, with Boho chic geometric cut-outs like a belt around your waist, which gives way to a flowy black skirt. 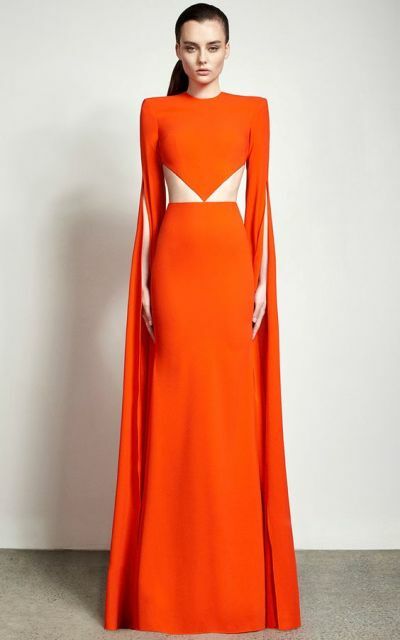 This dress is unreal and it has literally everything working for it- the gorgeous uniform orange, the bold cut-outs on the waistline and the cape. This is the kind of dress one would kill for. This is another dress that proves cut-outs can come in colors, and this is also more in keeping with your summer style, and also the crochet looks drop dead gorgeous, tbh. It’s amazing what a couple of cut-outs in the right strategic places can do to a dress. Although, on the surface this dress looks unassuming, what make it amazing are vertical shoulder cut-outs and the light pleats on the skirt. This is another cut-out dress in stunning coral, with an asymmetrical hemline with a slit near your navel which takes this dress to a whole new level of cool. How can you work those cut-outs on your dress without actually exposing your skin? With illusion cut-outs of course. These bold cuts across this simple white midi are made exceptional with a layer of lace which enhances the effect that is created because of the missing bits. Here is Vanessa Hudgens giving you serious wardrobe goals with her uber-summery floral cut-out dress with a frayed section cut out near the bust line of this fine number. Lesson learnt: you don’t need a Coachella to look like festive and casual-chic. An LBD is something which has never, and will never go out of fashion. 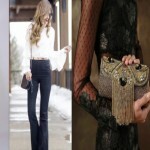 You can style it in a million different ways, making it one of the most versatile creations out there. Add to that a couple of stylish cut-outs near the waist and the shoulders and you have a stunner that is bound to stand out anywhere. 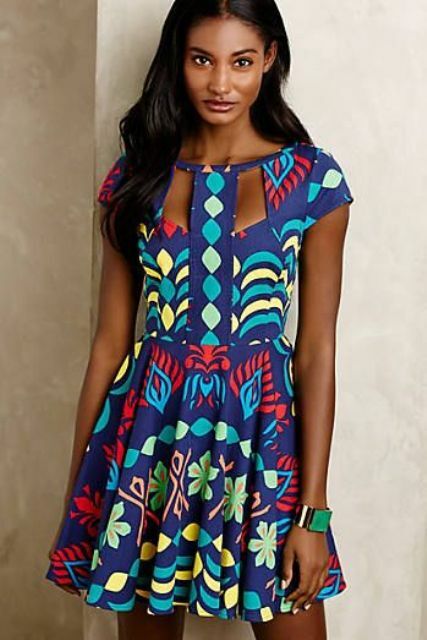 The best part about cut-outs on bold prints is that they look like a part of the print themselves, adding depth and personality to your dress, which was previously the much coveted function of layers on your dress.